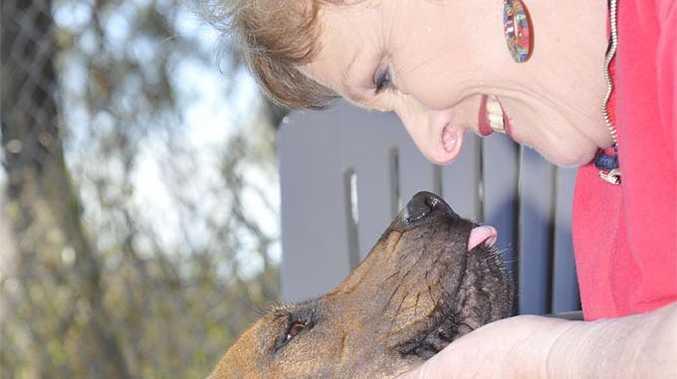 THERE are more than 30 four-legged friends looking to win some new hearts at Friends of RSPCA Gladstone’s Dog Adoption Day on Sunday. All will be on their best behaviour as they attempt to woo over prospective owners who visit the Friends of RSPCA Gladstone Adoption Centre (opposite NRG Power Station) between 9am and midday in search of a suitable new “best friend”. Friends of RSPCA Gladstone publicity officer Judy Whicker said there were about 38 dogs and puppies available for adoption. Mrs Whicker said there were a variety of reasons the dogs had come to be impounded. “Some people can’t afford to keep them, others are the result of marriage break-ups or issues with housing,” Mrs Whicker said. “People are moving house and the new landlords are not allowing pets. At least five dogs are being rescued by the group each week with about five to six being adopted out during the same period. Mrs Whicker said it was a constant revolving door. “Some go out and more come in,” Mrs Whicker said.